The oracle of modern menswear and gentleman’s style MR PORTER have recently launched Kirk Originals on their extensive yet exclusive online platform. Just in time for the fleeting period of UK sunshine, the British eye-wear brand showcase an edit of their six best selling sunglasses styles from their Made in England Collection. 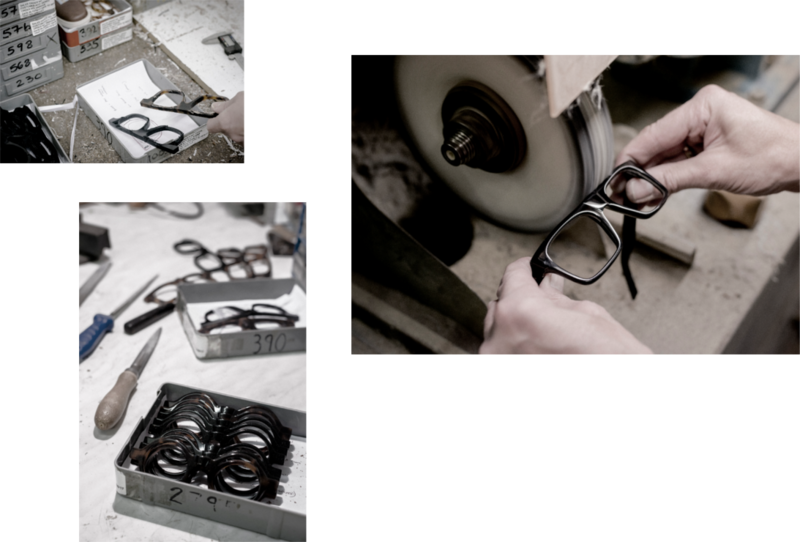 Each of the vintage style frames are made of high grade European acetate entirely by hand, this ensures their bold clean lined appearance. Owned by International Retail Architecture and Design Consultants, IDL, strong architectural and graphic influences can be identified in the Kirk collection. The much sought after glasses have been worn by various high profile personnel such as Paul Weller, Liam Gallagher, Paul Newman and Steve McQueen; unsurprising due to the impressive three days of craftsmanship involved in creating each unique pair. MR PORTER’s providings include an exciting early release of a new colourway of Kirk Originals’ Reed Aviator style spectacles, currently exclusive to the online retail giant. The new unique offering consists of green lenses and a frame which fades from black into bottle green, taking inspiration from 50’s and 60’s fashions as with all of the brand’s product range. Modern materials and silhouettes aid in updating the ever-fashionable Kirk Originals vintage shapes. Now, nearly one hundred years since the Kirk legacy was established, we look forward to seeing what delights the forward thinking optical brand has in-store alongside MR PORTER after their initial venture. Check our more of our men’s fashion articles here.